Outstanding nature photography takes knowledge and practice. Image by Lynda Richardson. 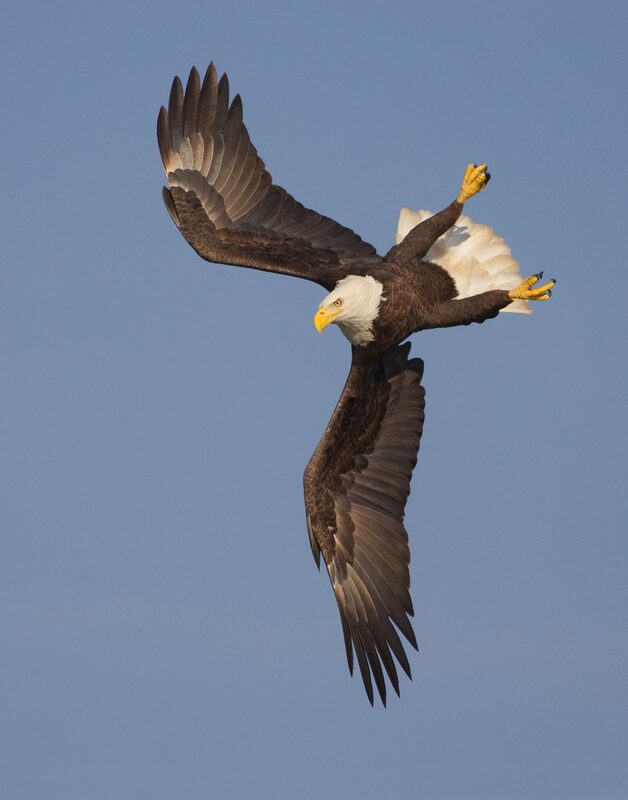 Capturing nature in the camera lens takes practice plus knowledge. Become well acquainted with your camera. Read the manual thoroughly with the camera in hand, and practice features as you learn about them. Nothing is more frustrating than having to stop and figure out how your camera works, especially at a decisive moment. Learn how to SEE! How does light fall on your subject? When is the best light of the day? Would the subject look better with or without shadows? Can you change the light by adding flash? Understand the principles of composition. Placing your subject in the center of the frame is a beginner’s no-no! Don’t be afraid to get low and/or change your camera angle. Learn how to control depth-of-field and shutter speed for getting great exposures. It’s a juggling act to capture the best photograph if you don’t understand these important tools. SHOOT, SHOOT, SHOOT and then, SHOOT SOME MORE. You’ll never get better unless you practice, practice, practice … and take chances. Evaluate what you’ve done. Ask for advice and accept critiques from fellow photographers. Look at other photographers’ work for ideas and ways you can improve. View upcoming nature photography classes at Lewis Ginter Botanical Garden. Text and photo contributed by Lynda Richardson, noted environmental photojournalist and art director for Virginia Wildlife magazine. Richardson has also served as an instructor at Lewis Ginter Botanical Garden. 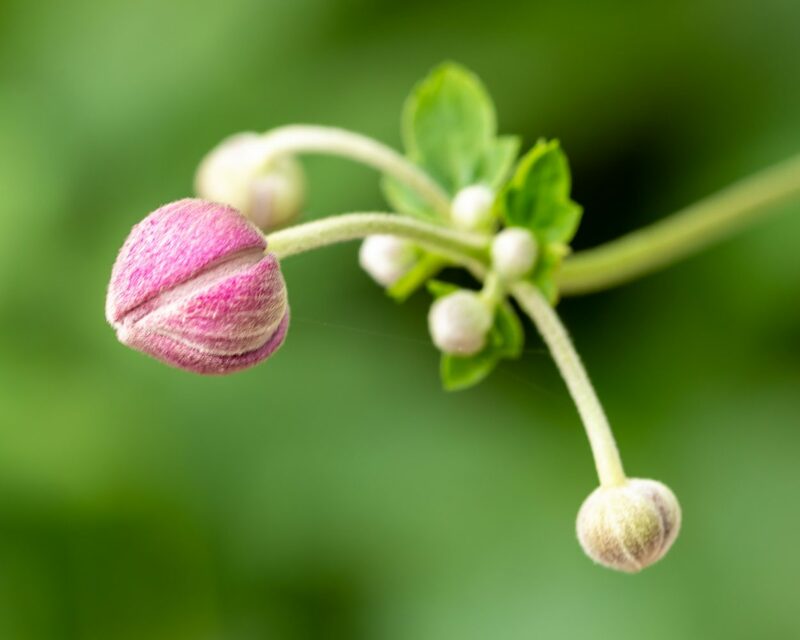 Japanese anemone (Anemone hupehensis) buds, as captured by photography instructor Tom Hennessy. Lynn Kirk, a freelance writer and marketing consultant, has collaborated with Lewis Ginter Botanical Garden since 2002. She considers it a joy and privilege to write newspaper articles and member newsletters for such a top-rated (and utterly gorgeous!) public garden. Join nationally recognized nature photographers in these classes to sharpen your observation skills and your digital photography know-how. Explore a garden setting with your single-lens reflex (SLR) digital camera. DSLR Photography: It’s All about Light! Join pro photographer Tom Veazey in the Garden and expand your technical and creative skills while learning new DSLR tips, tricks, techniques, and tools. This collaborative, participant-driven workshop is ideal for the intermediate photo-enthusiast who has a good working knowledge of exposure and all of your camera’s settings. Join photographer Tom Hennessy for this two-day workshop. Hone your skills at capturing images of flowers, landscapes, and butterflies. Alternate between working outside and setting up and capturing vignettes indoors, and, with Tom’s help, edit your work into a finalized version.